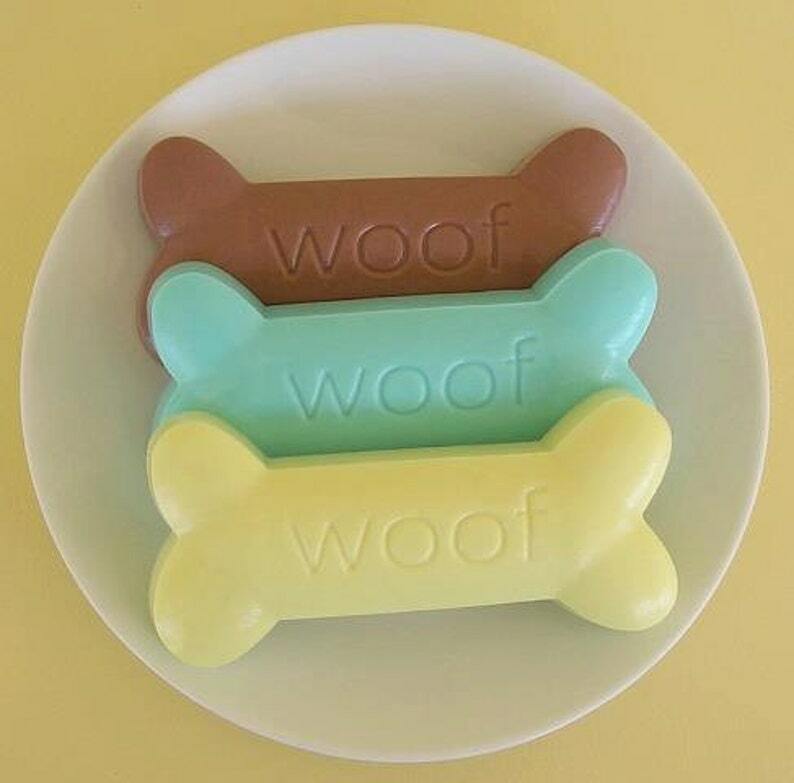 Dog bone shape glycerin soap. This soap will come in a cello bag tied with ribbon, so perfect gift for the dog lover. Listing is for 'one' soap weighing 4 ounces. If you need multiple soaps, please send info and I will make a custom listing for you. Choose your scent and color from the drop-down box.